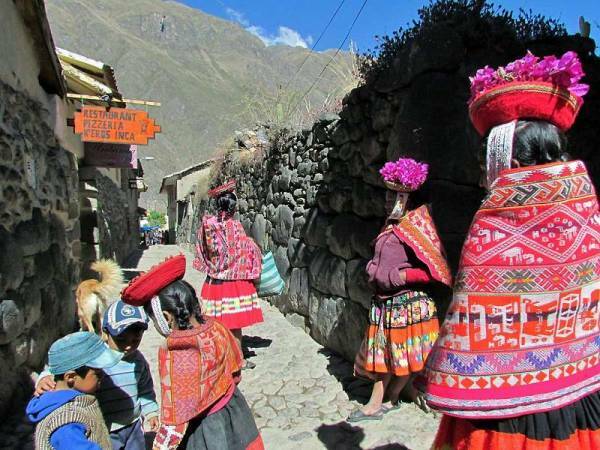 After the Chinchero Community Visit on the high plateau near Cusco, our Intrepid Travel group now descended into the Sacred Valley for our Ollantaytambo Visit. 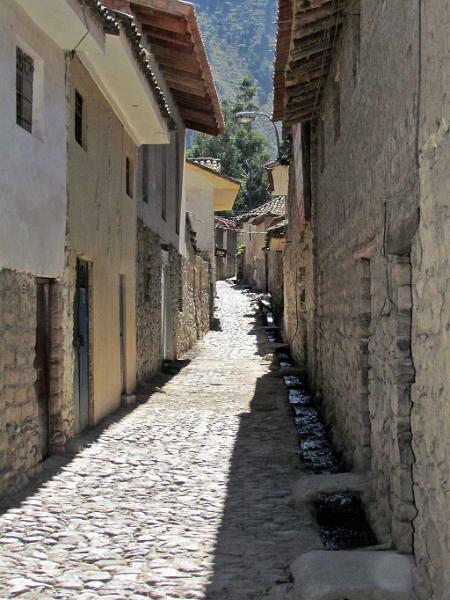 We used a small van to travel the 40 miles to this small town along the Urubamba River. 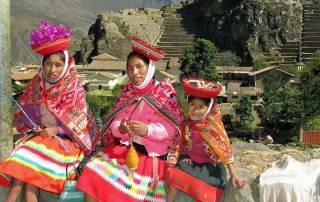 We checked into the Hotel Munay Tika late in the day. 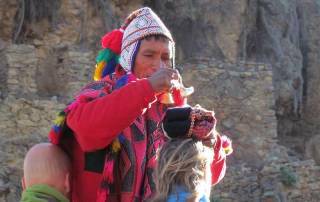 The group ate at Hearts Cafe, which is one of the most popular restaurants in Ollantaytambo. 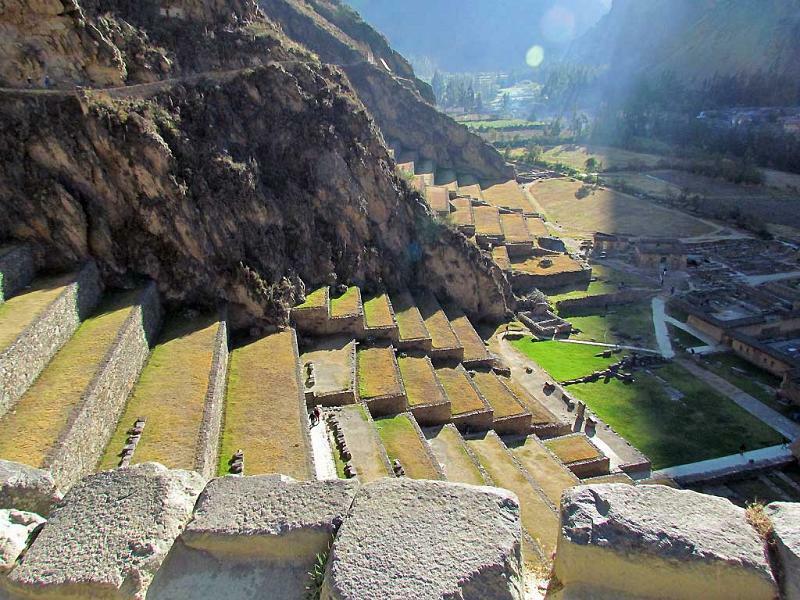 That night was noticeably warmer than the freezing night air we had been having in Cusco. We were up early the next morning, because it was the winter (June) solstice. Many of us wanted to be on the ruins as the sun came up. The entrance gate to the ruins is in the town. 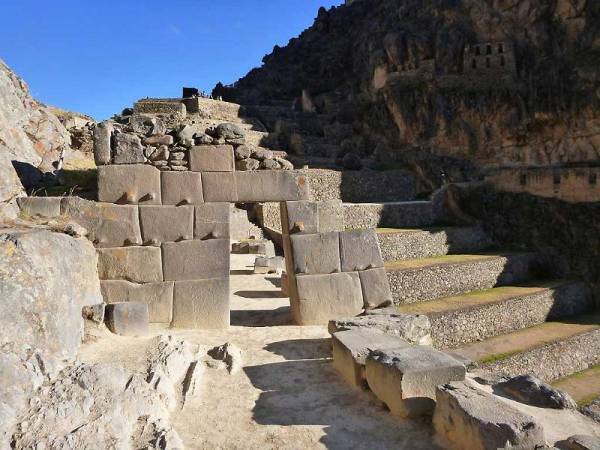 It only takes a few minutes to climb the stone steps of the ruins, but the ascent is quite steep. The amount of oxygen is reduced at this elevation. So, we barely made the top before the sun came up. 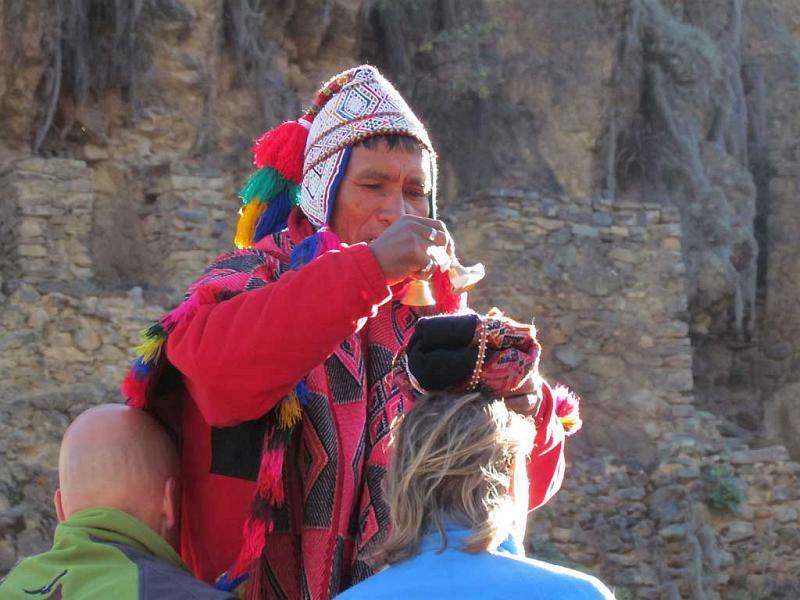 A man in native dress was performing a coca leaf ceremony as the sun rose, which was special. 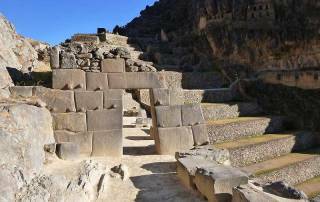 The site was the royal estate of the Inca Emperor Pachacuti. It was built in the 15th century. 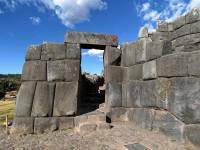 Later on, it was the stronghold for resistance to the Spanish by Manco Inca Yupanqui. 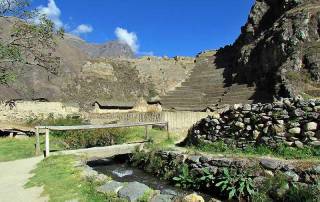 A Spanish expedition was defeated here in 1536, but the Inca resistance then chose to retreat from the area. The Spanish took it over by 1540. The ruins are impressive, but not very extensive. 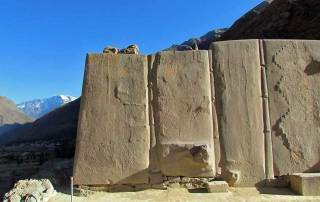 We wandered through the large stone structures. 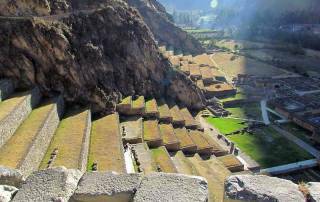 Then we walked along the mountain side to some abandoned Inca stone granaries. Everywhere the site has great views down to the town below. After exploring the Inca Ruins, we descended to the town and checked it out too. 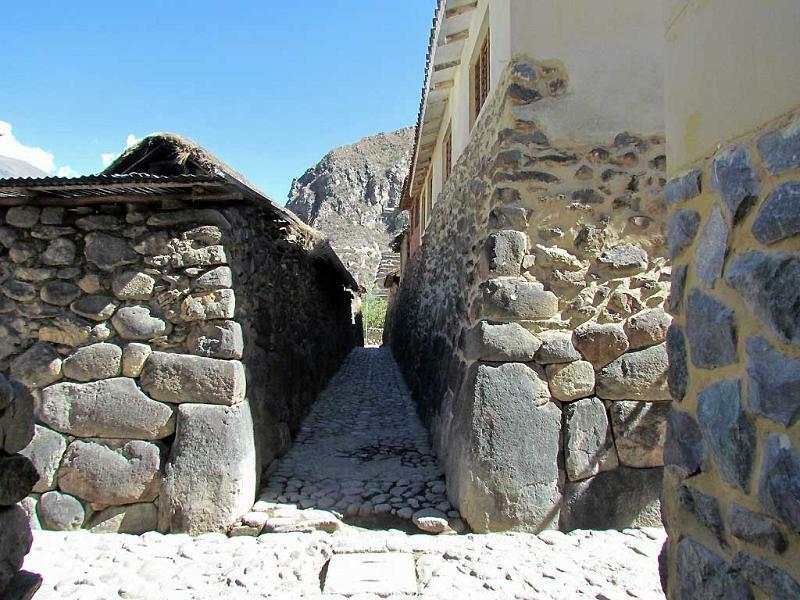 The town site of Ollantaytambo is unique, because it only has one street open to traffic. Traffic proceeds through the town square and turns left past the entrance to the ruins. The street then goes down to the train station. The traffic is congested, because all vehicles must then turn around to exit by the same route they came in. 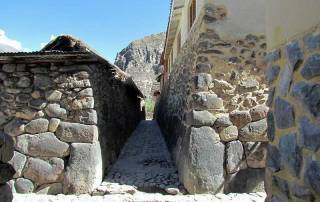 The rest of the streets in Ollantaytambo are too narrow for vehicles. 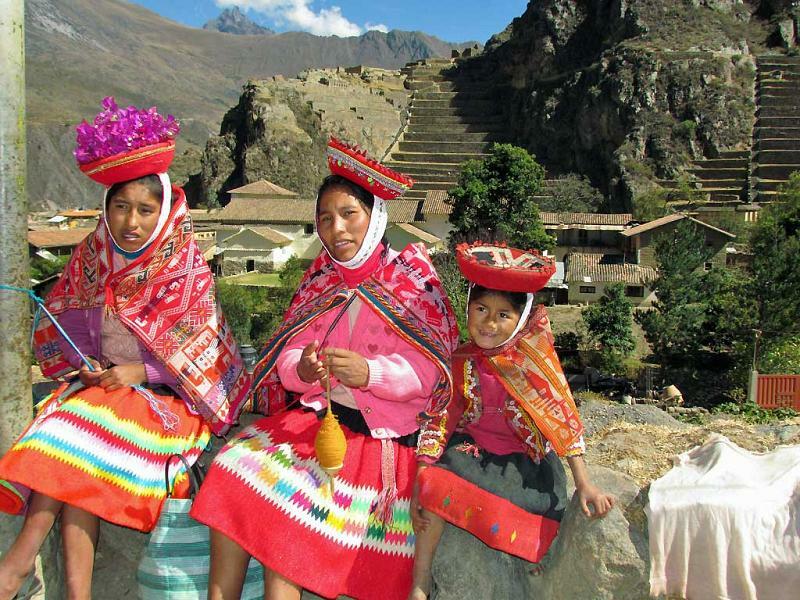 This gives the town a special local feel that quickly leaves the tourist atmosphere far behind. Inca stonework can still be seen at the base of buildings in many locations. The Spanish found that tearing stones from the Inca site above and rolling them down into the valley was the easiest way to construct their own buildings on the valley floor. 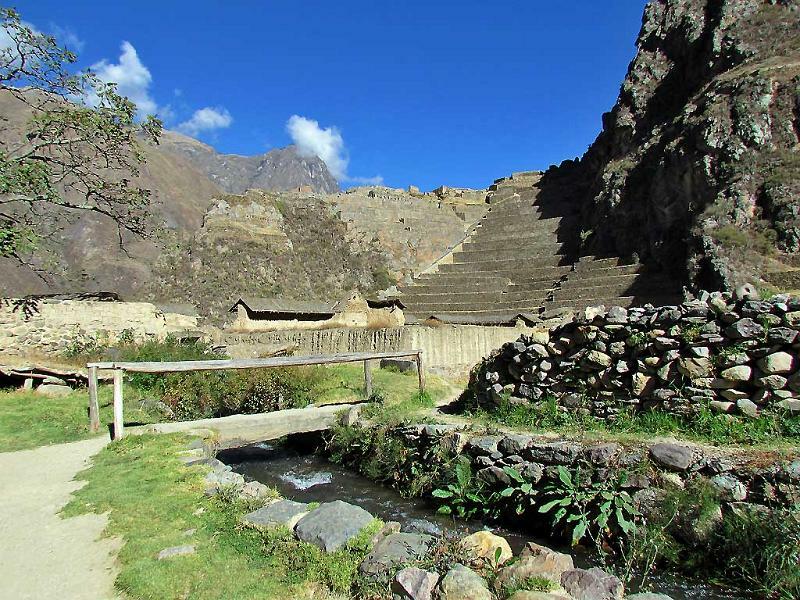 One of the special features of Ollantaytambo is the abundance of running freshwater. 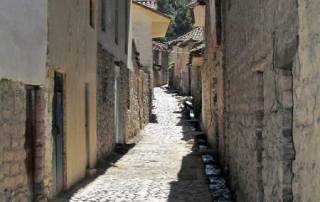 It flows down the valley in open channels along many streets. Pay attention when you are walking or you may end up falling into a channel. 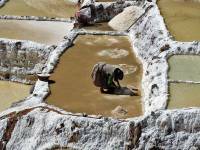 It’s unclear how they maintain water quality, as the water travels under and through some buildings. We did see some people washing clothes in the streets. 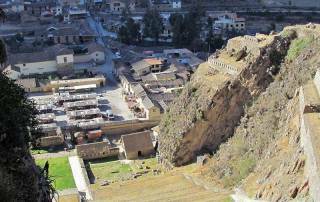 Ollantaytambo is a great site. Many tours skip it, which is unfortunate. 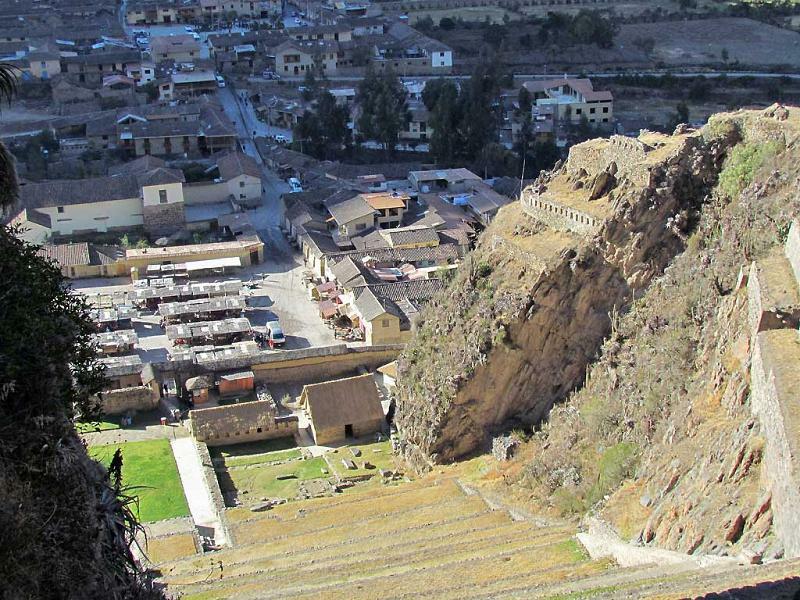 Some of the surviving Inca stone buildings in the town are as impressive as the nearby ruins above the town. Don’t miss it. 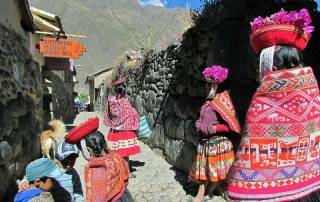 Late in the afternoon, we caught the train to Aguas Calientes for our Machu Picchu visit the next morning.